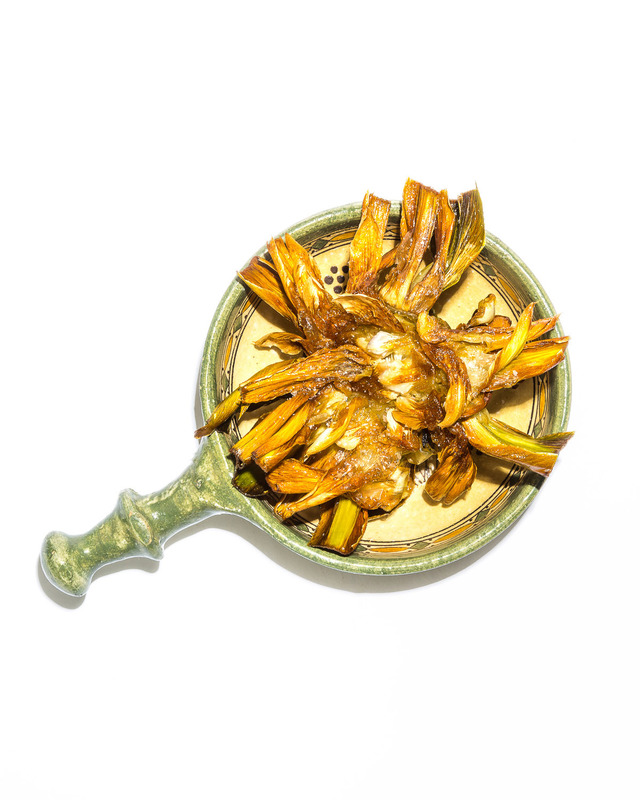 Carciofi alla Giudia—Jewish deep-fried artichoke—is probably the most famous dish of Rome’s Jewish cuisine. It was created in the ghetto in the 16th century and is traditionally served to break the fast of Yom Kippur, the Day of Atonement. Unfortunately, it is one of those dishes that can taste sublime or like a piece of old leather, depending on the skill and knowledge of the chef and the variety of artichoke used. In Rome, it is always made with cimaroli—violet-tinged artichokes that are very tender, with no fuzzy chokes and, most importantly, leaves without thorns. Those in the know say the success of the dish depends on how well the leaves are trimmed and on deepfrying the artichokes twice. Some chefs spray them with a little water during the second frying, as it is said to soften the interiors and make the leaves deliciously crisp. My advice is if you cannot get hold of cimaroli or similar tender artichokes, don’t waste your time. Having said that, according to the Talmud, “one may trim the artichoke and akivrot (cardoons) on a festival”—so Jews have been paring artichokes for millennia, no matter how difficult they are to prepare. 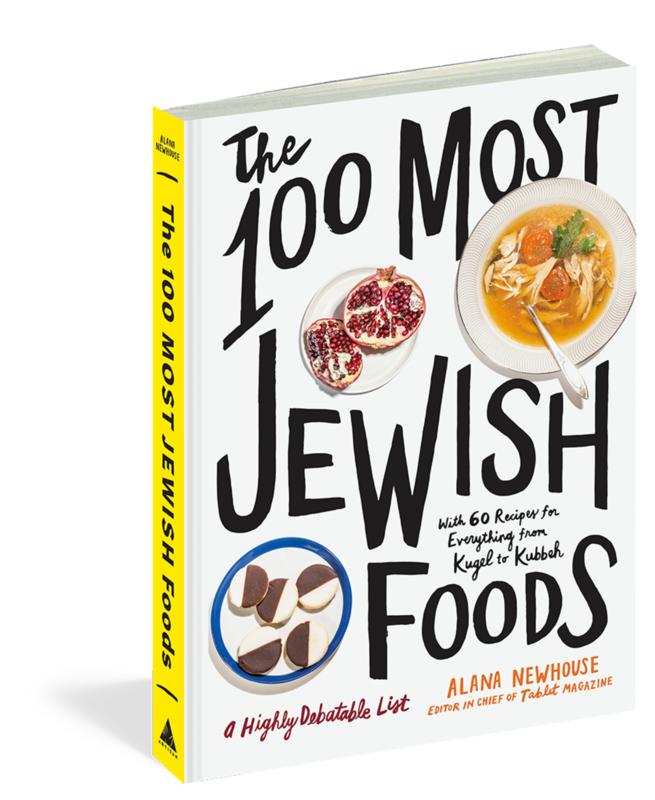 Paola Gavin is the author of Hazana: Jewish Vegetarian Cooking.